Morgans are weird cars. They’ve been pretty much producing the same models for more than half a century, so when they introduce something brand new, it’s kind of a big deal. In 2000, they introduced the Aero 8, a convertible that had kind of retro looks but actually looked pretty fresh compared to their other models. 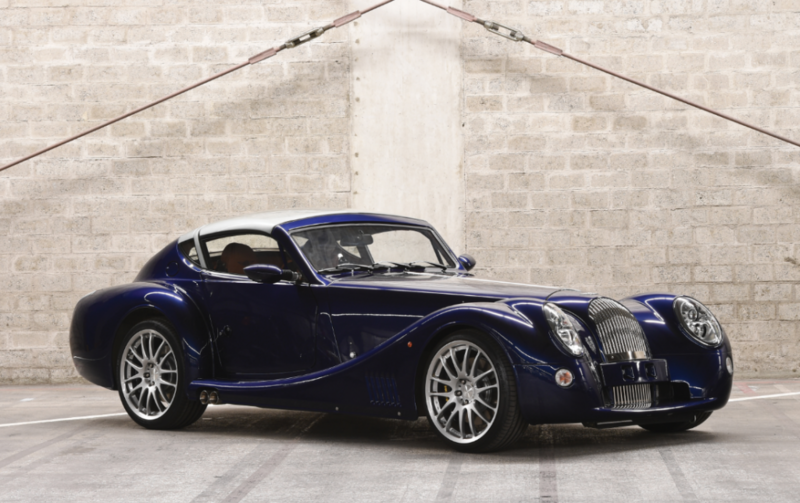 In 2008, the AeroMax was introduced and it was the coupe version of the Aero 8 – and it had a boattail rear end which made it look even better. Then, in 2009, came the Aero SuperSports – the Targa version. It was produced through 2015. Power is from a 4.8-liter BMW V8 making 362 horsepower. These are light cars, which makes them rocketships when you get on it. This car is essentially brand new and looks great in Lapis Blue. Easily my favorite Morgan, it should bring between $170,000-$225,000. Click here for more info and here for more from this sale. Update: Sold, RM Sotheby’s Essen 2019, $99,853.